The “gift inside the box” is my own life and it can not be found in the past for what I recall of it is only partial fact spun with delusional memory of what happened. My life is not in the future for nothing there has yet happened and that time will materialize far differently than any way I imagine. My life is here and now in this very instant and no other place. The more I am able to experience each moment of my life as it happens the sweeter the taste will be and the grander the outcome will seem. An abstract way of looking at my life story is thinking of “today” as a comma. Grammatically a “period” denotes an end, but a “comma” indicates a transition. So each of my “today’s” is a transition and not an ending. Today is the only place where my life happens. What lies behind you and what lies in front of you pales in comparison to what lies inside of you wrote Ralph Waldo Emerson. Today has little to do with the yesterday I keep in distorted view over my shoulder nor does today have a lot in common with what I anticipate about the tomorrow on my foggy and distant horizon. My life is all about today and today is found between my ears and in my heart. 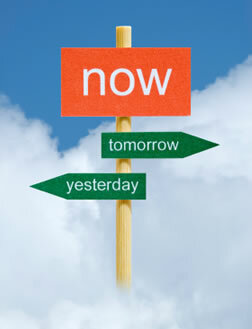 It is happening “Now” and I am grateful!